The Glenfinnan Monument was the stunning backdrop to a superb fireworks display put on for visitors and residents by the area’s hard-working community council. Aberdeen residents were wowed by a film-themed firework display at the beach this evening. A number of Aberdeen roads will be closed today to make way for the bonfire night celebrations. Thousands of spectators are expected to gather in Inverness for tonight’s spectacular bonfire and fireworks display. A dad has described the terrifying moment a lit firework was hurled at his car - with his four-year-old daughter inside. It’s a tradition that’s been around for more than 500 years. Thousands of spectators are expected to flock to Bught Park in Inverness next Monday to take in the annual Civic Bonfire and Fireworks Display in the Highland capital. The Scottish SPCA is urging locals in Aberdeenshire to consider the impact of fireworks on the welfare of animals. Hundreds of people braved adverse weather to enjoy a spectacular pyrotechnics display which illuminated the night sky with firework formations in the shape of smiley faces. Hundreds of youngsters are preparing to play their own part in a major north-east event. A Moray community will celebrate a very special milestone next week as it rallies to organise the annual fireworks display. Angry farmers have claimed their livestock were “terrorised” by the industrial-strength fireworks set-off to celebrate the opening of the north-east’s offshore windfarm. A hugely popular north east fireworks display has been cancelled for the first time in 40 years amid safety fears - and its long-term future remains uncertain. An Orkney man has been jailed for six months after setting off fireworks in a busy Kirkwall street. An Inverness home has been badly damaged after lit fireworks were forced through the letterbox. Police in Inverness are appealing for information after damage was caused to a house after lit fireworks were forced through a letterbox. An internal fault was to blame for a haywire fireworks display which left children “traumatised” and created panic for spectators of all ages. The skies across the north-east were illuminated at the weekend with a series of successful bonfires and fireworks displays, which entertained large crowds across the region. Thousands of families wrapped up warmly and enjoyed spectacular evenings of fireworks last night across the north-east. Organisers of an annual fireworks display have launched an investigation after sparks went flying into the crowd. Fireworks will light up the skies across the north-east this weekend with a range of events planned across the region. Scottish and Southern Electricity Networks (SSEN) are urging Highlands to beware of overhead power lines in the run up to Bonfire Night. Where can I watch fireworks in the Highlands and Moray? 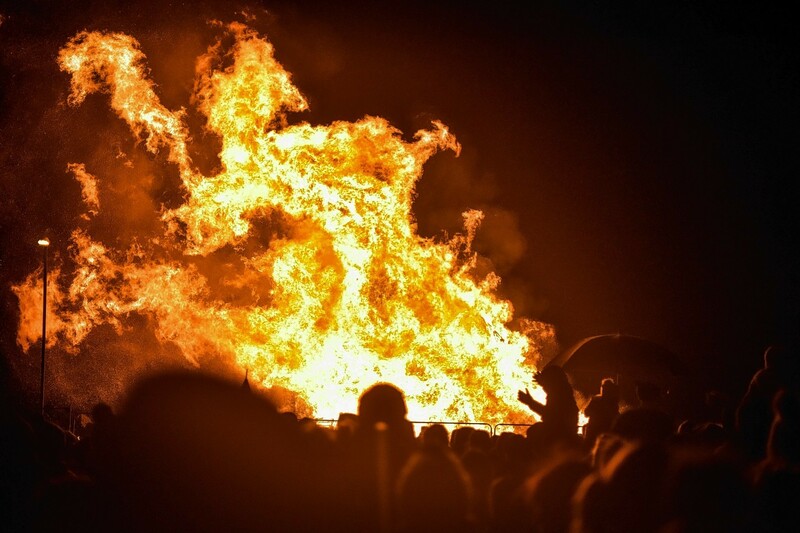 Remember, remember… Bonfire night is just around the corner! Where can I enjoy fireworks display in Aberdeen and the north-east? Firework displays are always fun and have people from all generations in awe when they light up the sky. Emergency services were called to a block of flats in Torry yesterday after a firework was set off in the communal landing. Thousands of revellers are expected at Aberdeen beach this weekend for this year’s fireworks spectacular. A Moray village put on its biggest fireworks display yet last week as part of its annual extravaganza. Two teens have been charged after police were called to Aberdeen Beach following reports of fireworks being set off in a car park. A Moray village is preparing for its biggest fireworks extravaganza yet by adding a sparkle of community spirit. Aberdeen council chiefs are hoping this year’s November 5 fireworks display go off with a bang - 12 months after the celebration was cancelled at the 11th hour.